Combat self doubt and become more assertive, successful - and happier. Have you ever felt like something is holding you back? That other people seem to breeze through life, but self-doubt and insecurity prevent you getting the things you want - at work, in family life or relationships? Well, fear not: no matter how low you feel it is possible to overcome vicious cycles in your mood and behaviour. 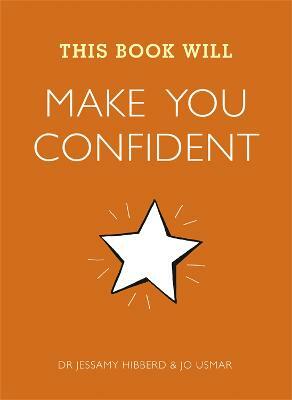 This little book will allow you to change how you think. Dr Jessamy Hibberd and Jo Usmar will provide you with the tools to build your self-esteem and boost your wellbeing, to realise your full potential and happiness. With practical exercises and techniques based on the very latest cognitive behavioural therapy (CBT) and psychology research, their friendly results-driven approach will give you a new sense of confidence in every area of your life. Dr Jessamy Hibberd is a highly respected clinical psychologist who worked for the NHS before setting up her own private practice. She is a member of the British Psychological Society (BPS) and the British Association for Behavioural and Cognitive Psychotherapies (BABCP). Jo Usmar is a freelance journalist and editor. She has contributed to a variety of national titles, including Stylist and Fabulous, as well as writing a regular relationship column for Cosmopolitan. She has appeared on TV and radio commenting on lifestyle and relationship issues.